Many agents believe that real estate is strictly a local business. I have a different mindset. I believe that real estate is increasingly a global enterprise, and by ignoring international buyers, you risk passing up a world of opportunity. From April 2015 to March 2017, $102,6 billion of residential real estate transactions were international. 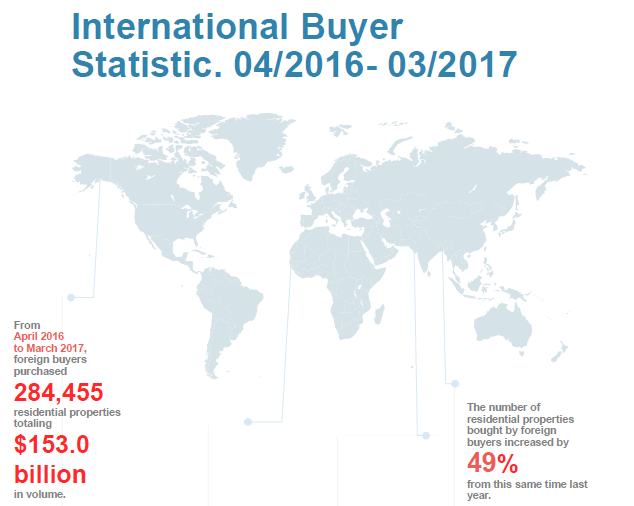 From April 2016 to March 2017, foreign buyers purchased 284,455 residential properties totaling $153.0 billion in volume. 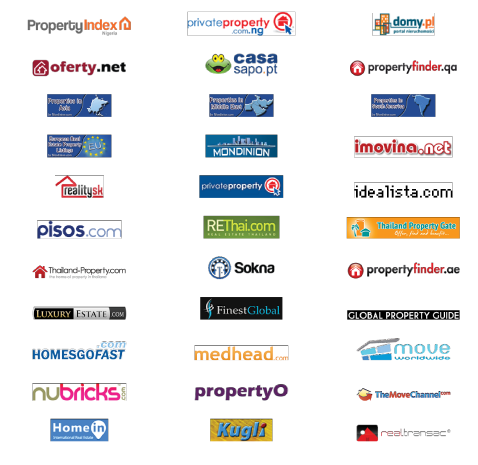 My global network of connections allows me to strategically market your property to the largest audience possible. 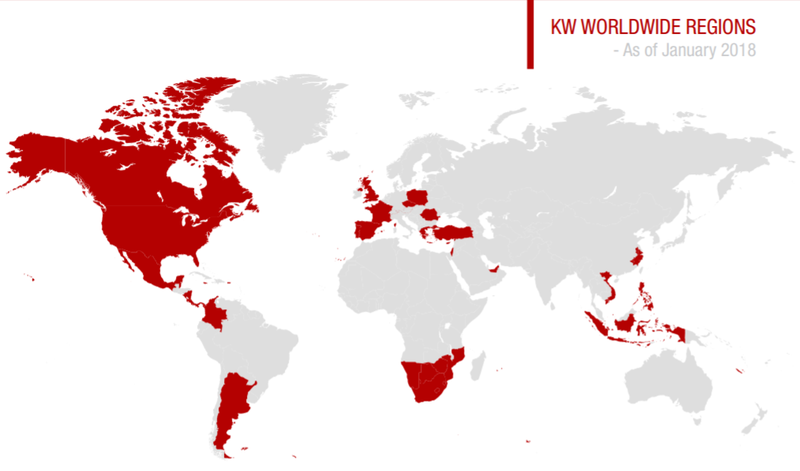 And, as a Keller Williams Global Property Specialist, I will ensure your listing will reach 100-plus countries. 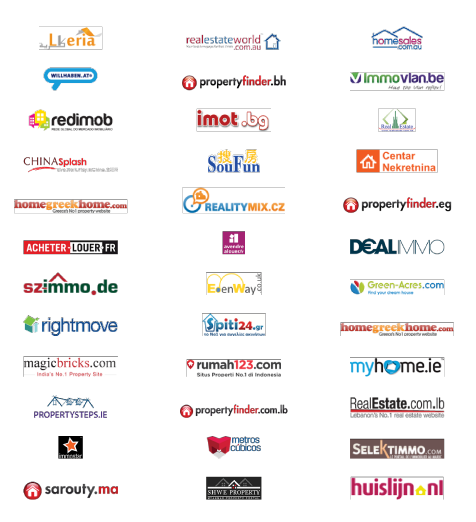 By working with me, your property will be advertised on more than 80 international portals addressing over 500,000 international real estate agents in over 100 different countries, including China’s Fang.com, which hosts more than 3 million unique visitors per day. I also have the tools to translate your property in more than 22 different languages, including Simplified and Traditional Chinese, Spanish, Hindi, French, German, Arabic, etc. This means other international agents are able to show your property to their buyers in the native language! 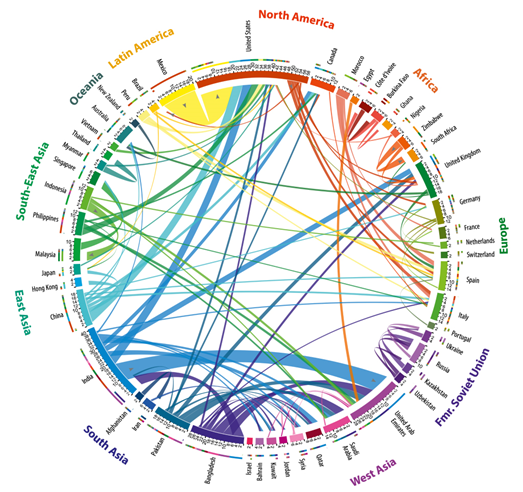 Source: NAR, 2016 Profile of International Activity in U.S. Residential Real Estate. 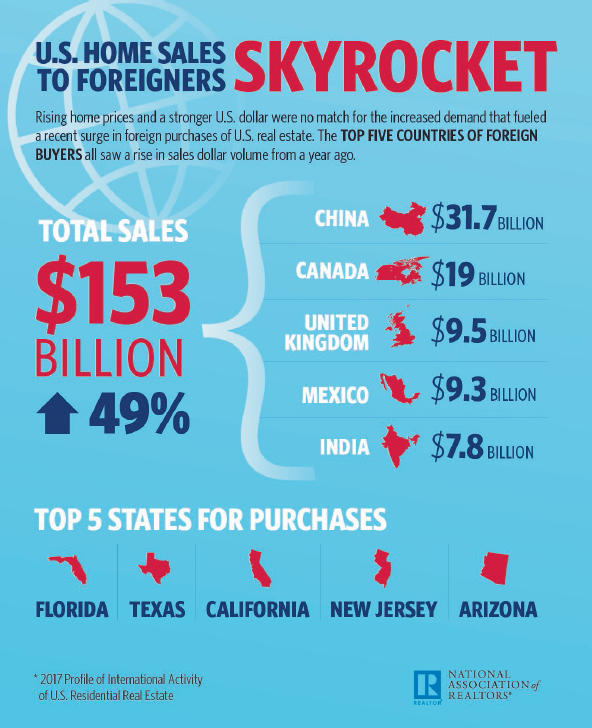 Source: NAR, 2014 Profile of International Home Buying Activity.